One of the best features of a spreadsheet is its magical ability to instantly update data contained in the worksheet cells. While these real-time updates are useful when users are interactively working in the Excel document, this feature robs performance and isn’t necessary when executing automation processes. By changing the Application.Calculation property, we can toggle the calculation logic between Automatic, Manual, and SemiAutomatic. Toggling between Manual and Automatic during your VBA code execution will typically result in significant performance gains. *IMPORTANT NOTE – Performance metrics are going to vary on a machine by machine basis depending on the system’s hardware. As a general rule, these settings will almost always improve performance. The amount of improvement will be inversely proportional to the machine’s hardware. (e.g. the slower the machine, the larger the improvement) Even if the improvement isn’t the greatest on your machine, you should still consider implementing these steps if other users will work with the excel files. Using the same 22×22 grid of numbers from the previous example, testing was performed contrasting the difference between enabling / disabling events. Disabling events resulted in a 50% improvement in processing time on a modern quad core i7 machine! 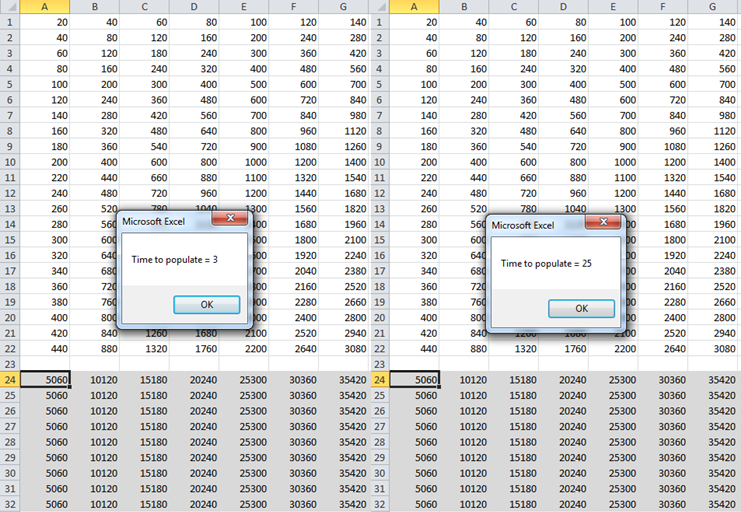 Using the same 22×22 grid of numbers from the previous example, testing was performed contrasting the difference between enabling / disabling screen updating. Disabling ScreenUpdating resulted in a modest 10% improvement in processing time on a modern quad core i7 machine with a high end graphics card. 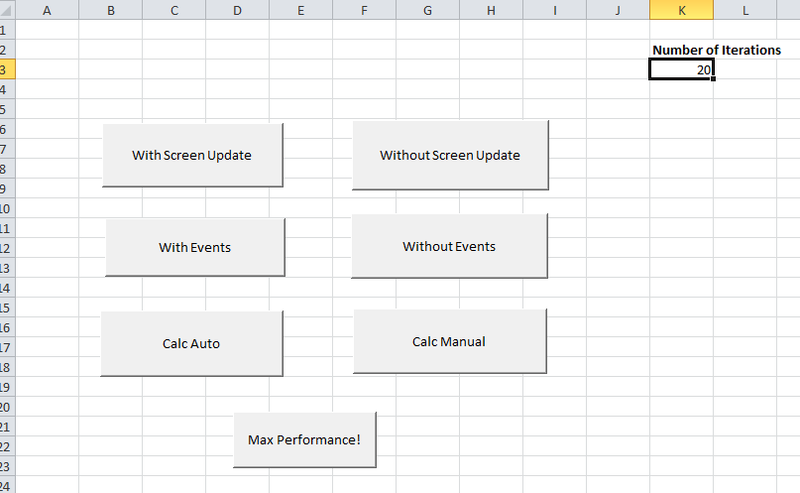 The final two items, EnableAnimations and DisplayStatusBar, typically do not result in significant gains; however, they can help if you need to squeeze every possible ounce of performance out of your Excel/VBA. Cumulative Effects –The performance settings can be combined for cumulative improvements! In the previously discussed grid test, enabling all performance settings results in an amazing improvement. On a modern quad core i7 computer, the test went from 4 seconds to less than 1 second! 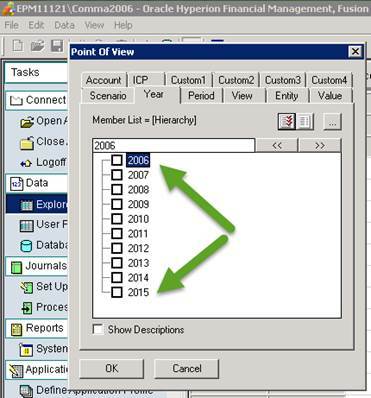 Global Scope – Be cognizant that these settings are global settings and will persist across workbooks, instances of Excel, and will even persist after you close and restart Excel! Be sure to consider this when designing your solutions. As some of the settings, such as Calculation State, are more than an On/Off setting, it is recommended that you read the current setting and store it in a variable to ensure that you can correctly reset the application setting to its original state. Code Robustness – To ensure that the settings are consistently reset, it is imperative that you follow good coding practice and account for errors/exceptions in your code. If you do not implement proper error handling in your code, an end user will eventually run into an unhandled exception resulting in the code ending in an incomplete state. (e.g. your VBA code tries to delete a file and encounters an error, such as ‘permission denied’) The ‘On Error’ statement should be utilized in your code to provide a way for your code to handle errors gracefully. While Hyperion Financial Management (HFM) applications do not regularly suffer from technical issues, there are certain situations that can cause your application to become unresponsive. This scenario usually is caused by poorly designed or corrupted HFM member list or calculation rules which run in a loop. (e.g. self-referencing member lists) When this happens, the application becomes frozen and even a restart of the servers/application will fail to solve the issue since the rules are executed again on startup. One way to resolve this issue is to revert to a backup; however, this could result in the loss of artifacts and/or data. Fortunately, there is a better way to solve this problem that will minimize downtime and prevent the loss of information! The information provided below will cover key details and complete recovery steps using the HFM COMMA application as an example. While the HFM relational database contains a plethora of tables, one table (<appname>_BINARYFILES) contains the key to this solution. 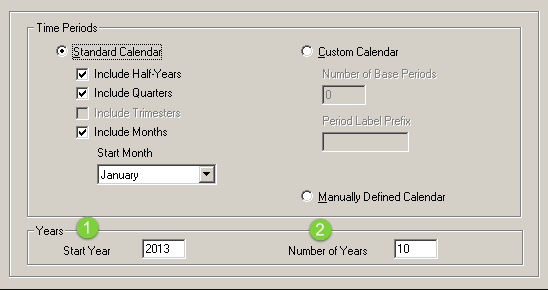 HFM Rules, Metadata, Member Lists, and other Application Settings are all stored in this table. (see my other post about altering HFM Starting years via this table for more information!) When you use the HFM user interface to import Rules / Member lists / Metadata to the application, the information is placed in the appropriate instance of the table. (e.g. COMMA_BINARYFILES) The LABEL column indicates what type of information is being stored (AppSettings, CalcRules, MemberListRules, SharedAppData, etc.) while the BINARYFILE column contains the data. 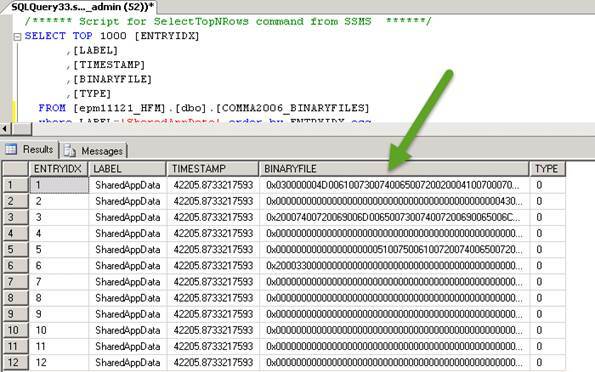 Since the BINARYFILE column can only contain 2,000 bytes of data, you will find multiple rows of for a given type. (e.g. Rules files will typically have numerous rows since rule files are typically much larger than 2,000 bytes) When the data needs to be used in the application, it is read in ascending order based on the ENTRYIDX column. IMPORTANT – You should not make these changes while the application is running! Be sure to stop the application first! 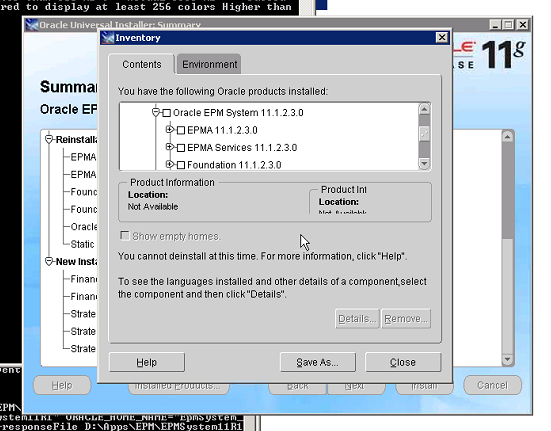 If you are installing Oracle EPM in a Windows environment, there are a plethora of settings you need to tweak per Oracle guidance. To greatly simplify this process, I made a script that performs all of the steps for you, saving you a pile of time / effort. There are a few steps that you’ll need to do manually; however, this will allow you to perform these steps in a fraction of the time *and* ensure that your servers are configured in a consistent manner. NOTE: Part 2 of this post will actually go into what these settings do. For now, just enjoy a free script. @REM -         Those items are in the script and will be called out. @REM -         config items are a "per user" setting. @ECHO Checking for Dynamic IPs. 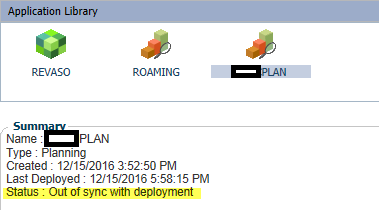 @ECHO If DHCP is shown as enabled, please investigate further. @ECHO Static IPs are expected. 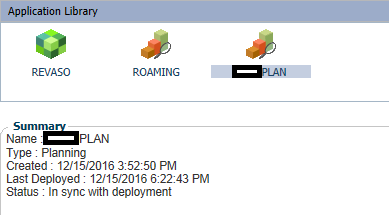 ipconfig /all | find "DHCP Enabled." 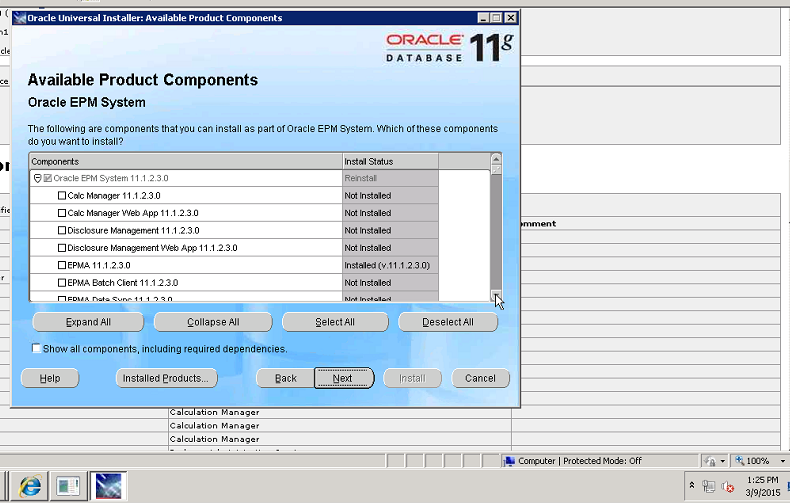 @ECHO TMP / TEMP environment variables have not been set for the current user. @ECHO - Enable Scanning after install, but exclude the \Oracle folders. @ECHO All steps complete, please review for any errors. Recently, I needed to use an old program that is protected by a security device. 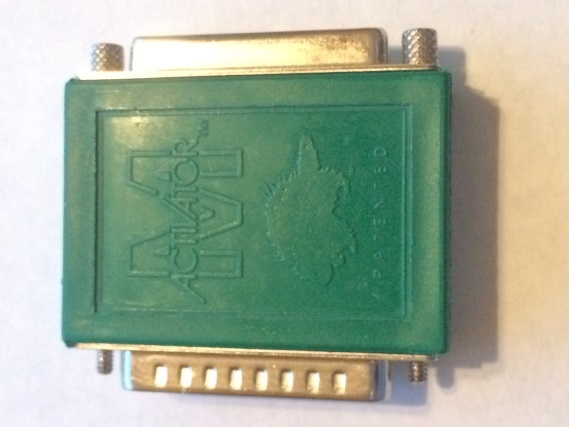 The device, an M Activator hardware key, connects to your computer’s parallel port. 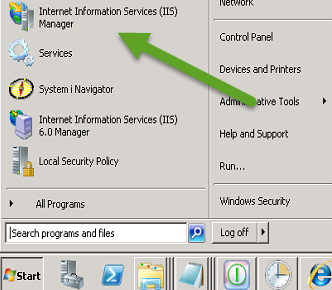 If the security device is not attached to the PC, the application program will restrict your access to certain application functions or prevent you from using an application altogether. Since I own the software and still have the security key, none of this should be a problem. Unfortunately, modern computers no longer have parallel ports! As the software isn’t maintained, I can’t call the original provider for an alternative leaving me with few choices. 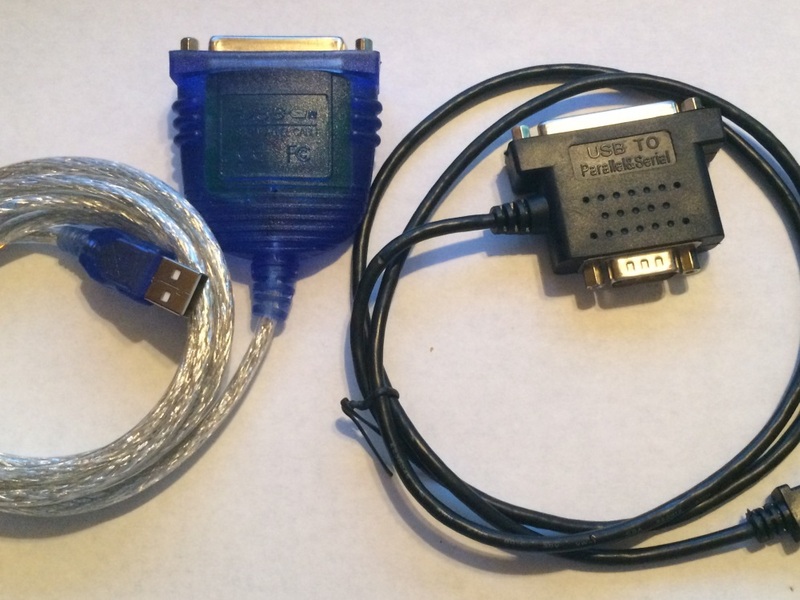 The first, and preferred, choice was to purchase a parallel port to USB adapter on-line. 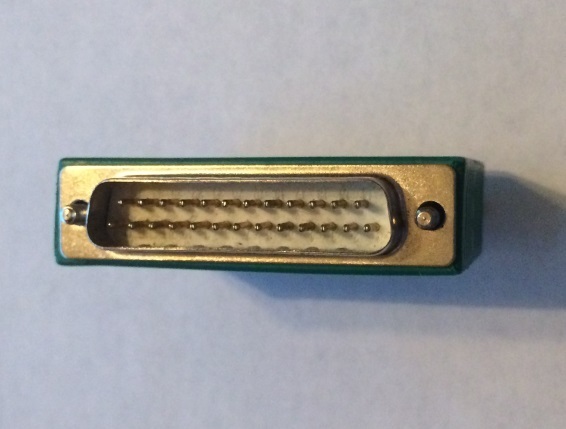 I purchased two highly rated units; however, the software failed to recognize the dongle when connected through either of the units. As the USB adapter routed was unsuccessful, my remaining option is to …. 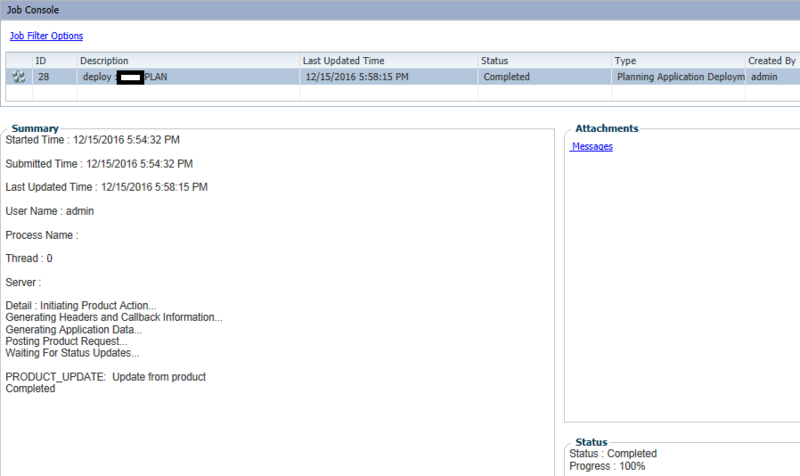 hack the security key or its implementation in the application program.. The first rule of hacking is that you don’t talk about hacking. Wait, or is that the first rule of Fight Club? The first rule of hacking is to accept the fact that nothing will be 100% secure. What is the risk/damage of being compromised? How likely is it that the product will be attacked? What impacts to the development process will occur due to security? How will the timeline be impacted? How will users of the product be impacted? Does the development team understand and have security experience? How much will can we afford???? Because of all of the competing considerations, product security typically looks more like the Griswold family truckster than the shiny red Ferrari. From the hacker’s perspective, product security really boils down to how badly they want it. Do they have the time, resources, team/skills, and money to dedicate to their mission. NOTE: Researching this scenario finds a lot of “hits” to people with similar scenarios. There are emulators and other products made to solve this problem; however, I’d rather try to figure it out myself first. Given what has been found, it seems likely that the application program is going to use the W32SSI files to talk to the dongle. Depending on how this is done in the application, we may be able to update the application program and simply bypass the dongle. All we need to do is take a peek at the application software to see what is going on, no biggie. Source Code, Assembly Code, Machine Code, Oh My! If this were our application program, we could simply open it in our editor, make our desired changes to the source code, recompile the code, and be on our way. Since we didn’t write this program and the original company is no longer in existence, this isn’t an option. 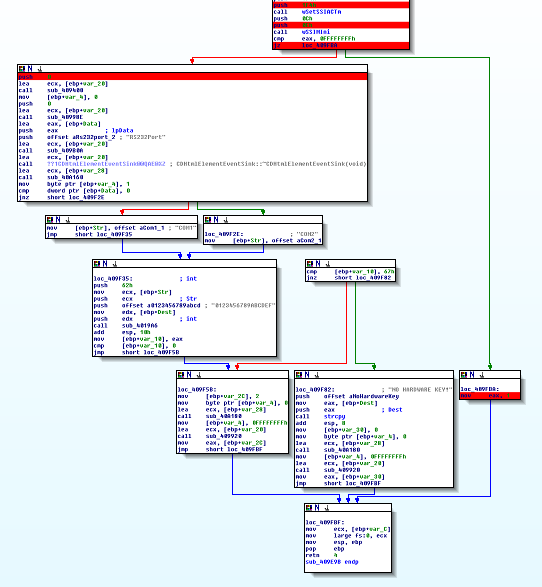 While we could look at the executable binary (e.g. Machine Code) unless you have a photographic memory, know low-level Windows modules by heart, and Intel OpCodes like the back of your hand, it’s going to be impossible to directly analyze the chain of files. 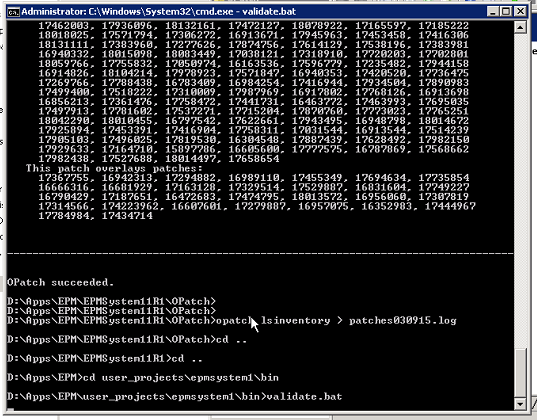 Figure 5 – Machine Code, no problem….. While it might be cool to rattle off machine code instructions on trivia night, it would take us forever to try and analyze an application in this manner. Fortunately, there are many programs that we can leverage which will translate the machine code into something slightly easier to deal with, assembly code. While assembly code is not nearly as friendly as actual source code, it is a 1 to 1 representation of the machine code in a somewhat human readable format. If you have an appropriate tool, such as the IDA Pro disassembler, you can convert the machine code into the assembly. 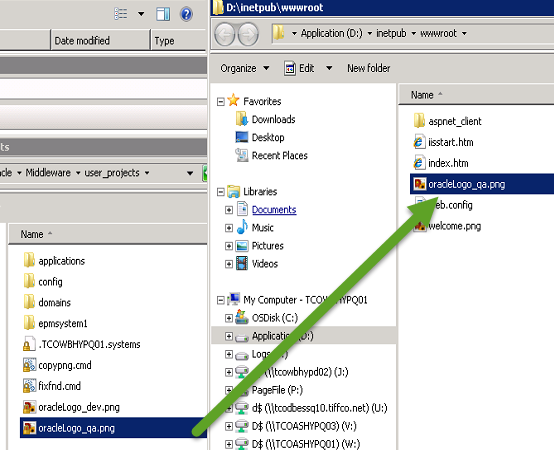 This tool also allows us to map out the program flow and find text and object file references. 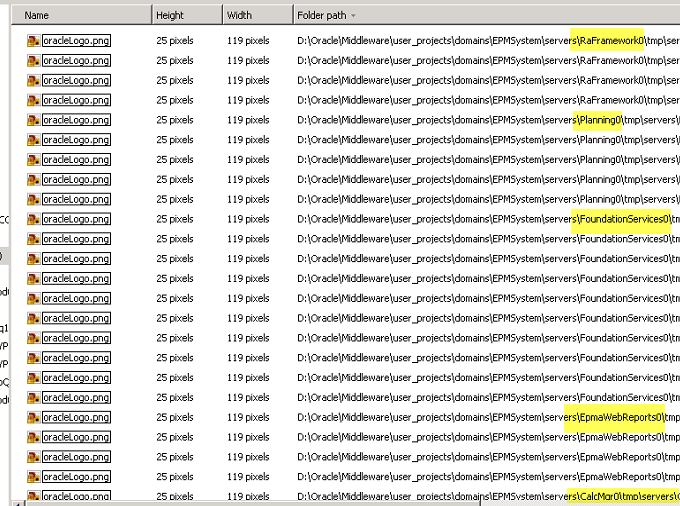 As mentioned previously, we can use IDA to do a quick search to see if our security device program is called. Since we know that the program uses the security key, we should be able to find one or more references to the W32SSI library files. Depending on how many and what type of references we find, we may be able to easily alter the program so that we can bypass the security hardware. After opening the program in IDA, we can easily see that the W32SSI libraries are being used by checking the Imports section of IDA. Somewhat surprisingly, the only two functions imported from the security program are referenced once! Looking at the Graph View of the code leveraging the W32SSI routines, we see that there are two main code branches. The branch on the left performs secondary checks and ultimate ends up with failure messages relating to a security key not being found. The code branch on the right simply returns a value of 1, which presumably is a “TRUE” response. Because of this, there appears to be a very easy way to “fix” the program. If we force the initial check to always return TRUE (or flip flop the PASS / FAIL check) then the application program will behave as if the key was present. JZ and JNZ are machine code instructions that are used in conjunction with comparison checks. If the result of a compare (CMP) instruction is ZERO, a Jump if Zero (JZ) instruction will result in a jump to another portion of the application. Jump if Not Zero (JNZ), on the other hand, results in a jump if the compare (CMP) instruction is non-zero. To make the change, switch to the Hex View, right click on the highlight value and change the 84 to 85. After starting the program, we no longer receive an error about the missing security key and the program operates as expected. When targeting Essbase/Planning applications through FDMEE, a particularly useful feature is the ability to trigger Calculation scripts before and after the Load process as well as before and after the Check process. 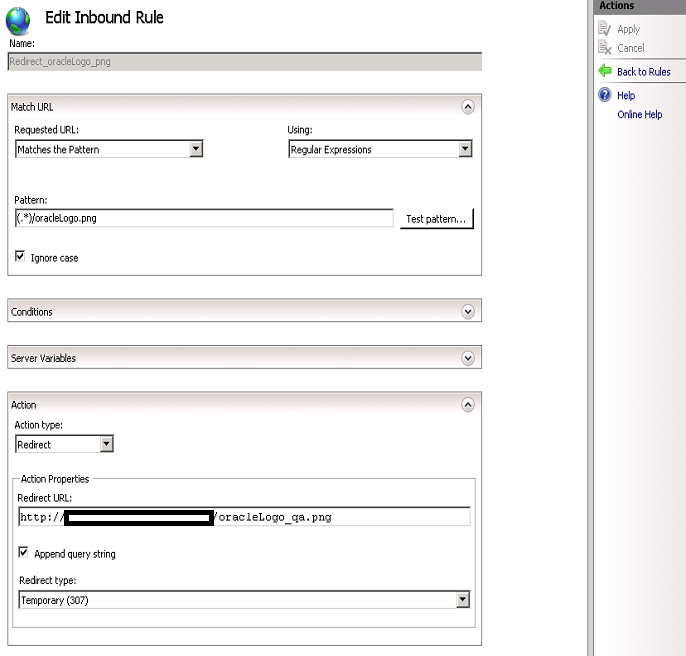 Not only can you execute scripts, but you can control the execution order and pass script parameters. This functionality is quite useful for executing fixed scope data clear operations before the data load and executing targeting aggregation/calculations after the data load has been completed. While this feature works great when the scripts are working, what happens when there is a script failure? If a script executed during the Load process fails, should the FDMEE Load step report a failure? (even if the data loaded?) How about a script failure during the Check step? Would you be surprised to know that currently in 11.1.2.4.210, this is not the case? In the event of a successful load process, even if a script error occurred, all FDMEE “fish” steps will return gold and the Process Monitor report will reflect the same. (e.g. 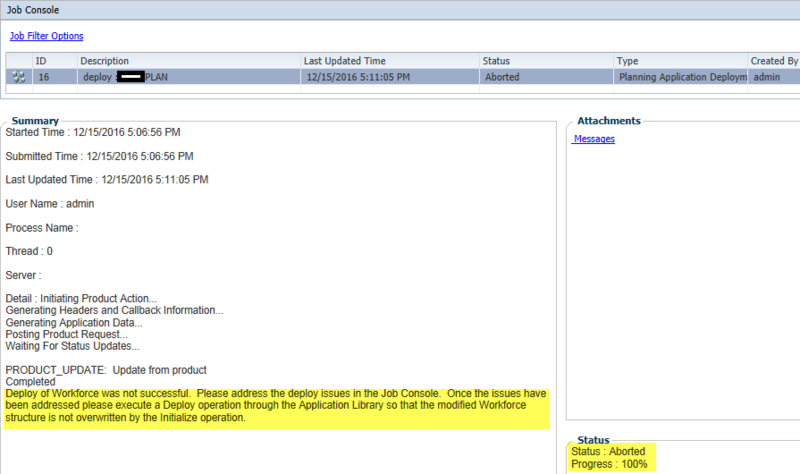 no issues) Your only indication of a failure will be in the job log for the data load process! If you are currently leveraging this functionality, please be aware of this quirk until this is corrected! 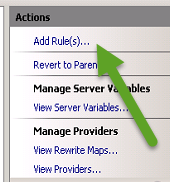 #2 – Create your Location / Data Load Maps / Data Load Rule / etc. 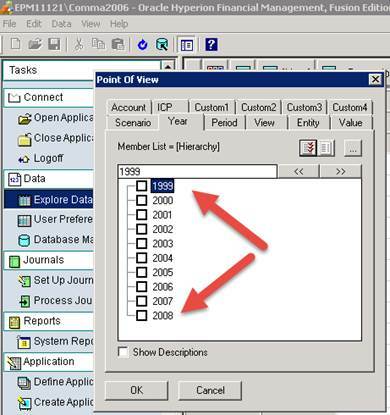 #3 – Load a data file through and confirm that the Process Monitor reflects success. 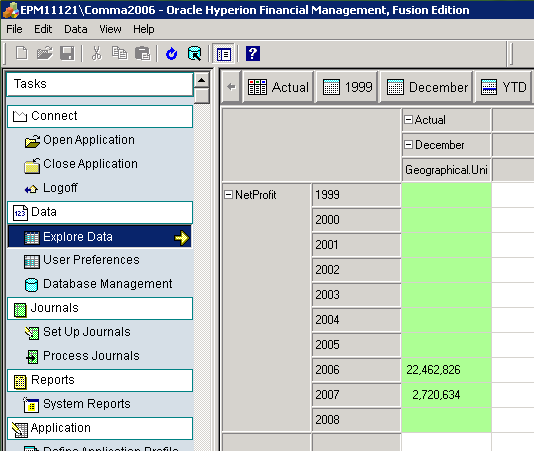 #4 – Pull Process Monitor report and confirm no errors reflected. Since the script doesn’t exist, the FDMEE log will reflect an Essbase error due to the non-existent script. If your load process is being performed manually, the easiest recommendation is to have users review the log to confirm successful script execution. If you are performing automated processing where it is not feasible to manually review logs, considering implementing an Event script to scan the log file for script success/failure and using that to trigger a failure in FDMEE / Error Log / Email Notification / etc. While building out data load automations for PBCS and FCCS recently, I ran into a somewhat annoying issue when loading data to PBCS. 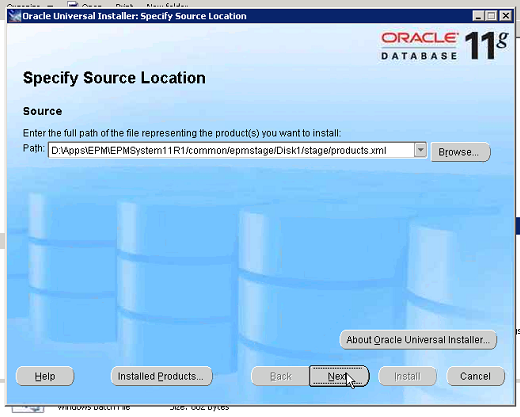 Even more surprising is that Oracle claims it works as expected….. This post will explain the issue and provide a really simple work around until this gets properly addressed. While a data load failure isn’t optimal, typically this failure is easy enough to identify and fix based off of the feedback provided from FDM/FDMEE/Data Management and the target application. When performing a Merge export, FDMEE/Data Management simply passes the generated data file to the target application for loading without any pre-processing. When performing a Replace export, a data clear script is dynamically generated based on the members contained in the export data. The script will clear data for every intersection of Scenario, Year, Period, Entity, and Value dimensions. In the event that one of those members is missing in the target application, the dynamic clear script will contain an invalid member resulting in the error shown above. While the error shown above is completely legitimate, it isn’t meaningful enough to allow you to locate the member easily. The easiest way to work around this issue is to perform two data exports to PBCS for Replace operations. The first export should be a Merge load. As the dynamic clear script will not be generated for a Merge, this will result allow you to receive specific errors in the event that there is a data load failure. After have a successful Merge load, then perform the Replace load to ensure that all data gets cleared, etc. 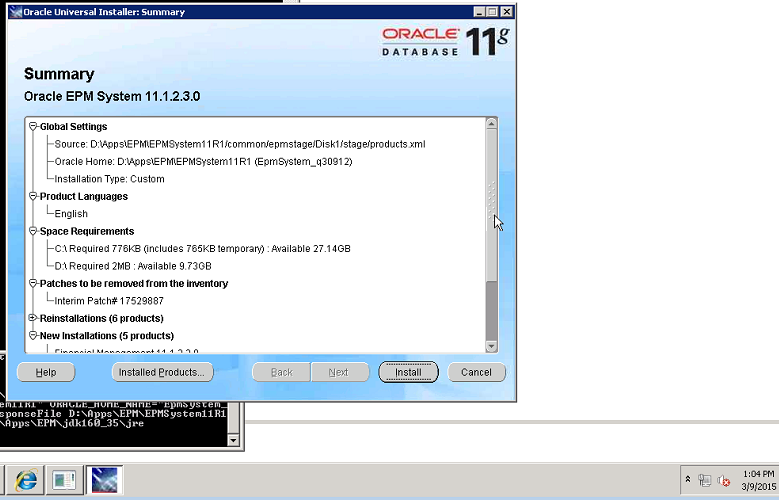 Oracle Hyperion Planning Application Migration Fun! If you have one or more Workforce enabled Planning applications and you have multiple EPM environments, you may be in for a surprise the first time you migrate those applications to another one of your environments! Since the application works perfectly fine in the source environment *and* Planning supports shared members in the Time Period dimension, you would be correct to suspect ‘shenanigans’ are at play. The trick is that when the Workforce Planning module is first initialized, there cannot be shared members in this dimension! Once the module is initialized, you can add duplicate member instances. Unfortunately, when you copy an application to a new environment and deploy it for the first time, part of this process includes module initialization! To work around this issue, keep the default Time Period members and remove any duplicates, deploy the application for the first time, use LCM to restore the full Time Period dimension, and then perform another deployment. 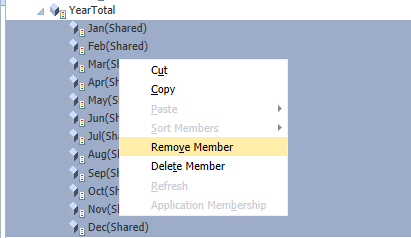 Click Yes on the confirmation window that appears after clicking on Remove Member. 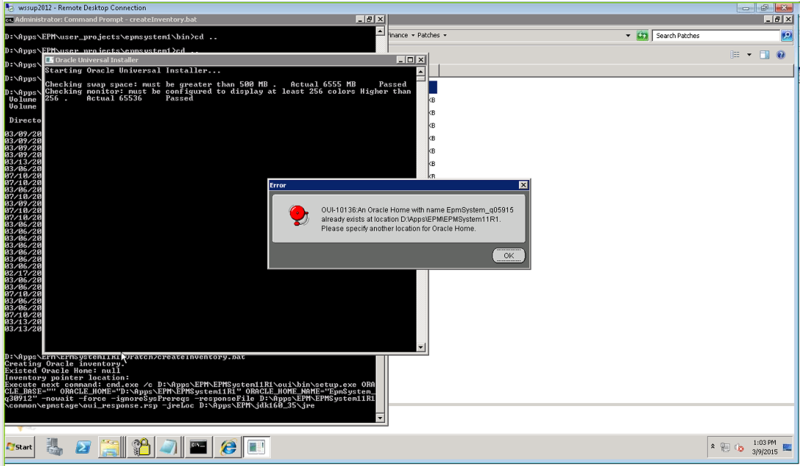 Return to application library and attempt the deployment again. Confirm that this Deployment completes without any errors. After the LCM import completes successfully, return to Application Library. 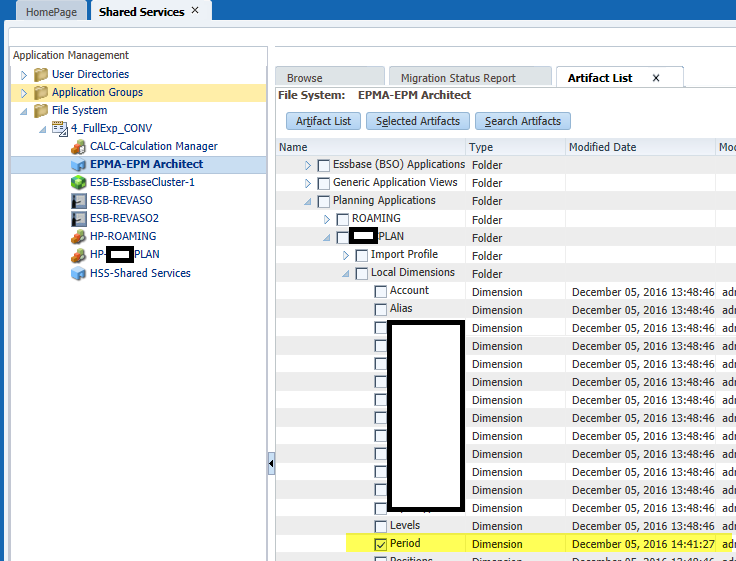 Since we changed the Period dimension back to its original state in EPMA, this will signal that the application is Out of Sync and will need to be deployed again. NOTE: This issue appears to impact Planning through 11.1.2.4. 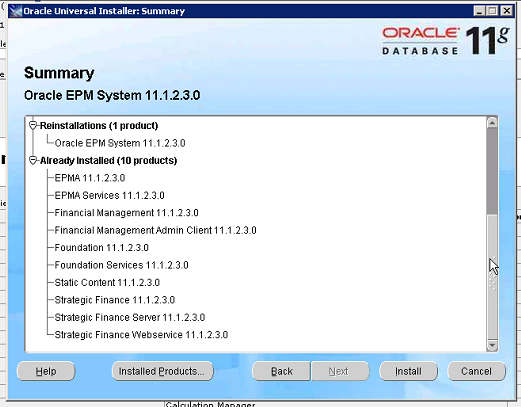 Oracle Hyperion EPM Environment Branding Made Easy! A common pain point when working in multiple EPM environments is ensuring that you are working in the right one. “Out of the box”, each environment visually looks exactly the same. As no one wants to be the person that accidentally makes a change in the wrong environment, people have tried all sorts of ways to remedy this issue. avoids manual manipulation of EPM application files.. 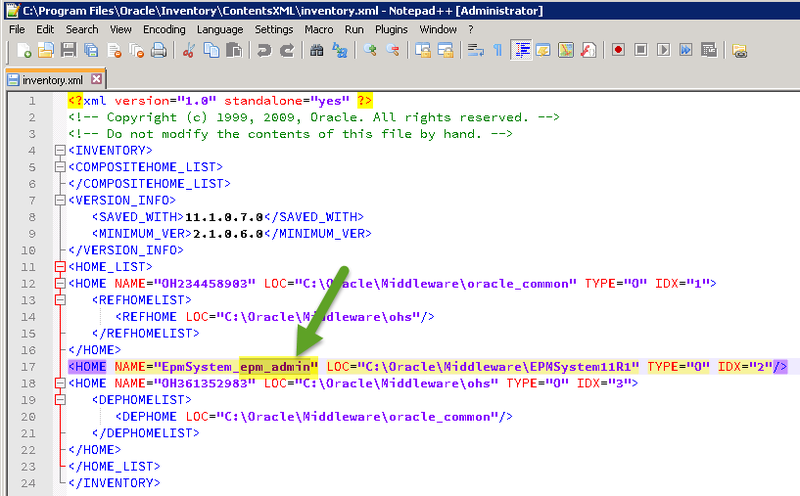 The following walk-through will show you have to use URL rewriting to replace the Oracle logo contained in the upper corner of most EPM applications with one shared image. 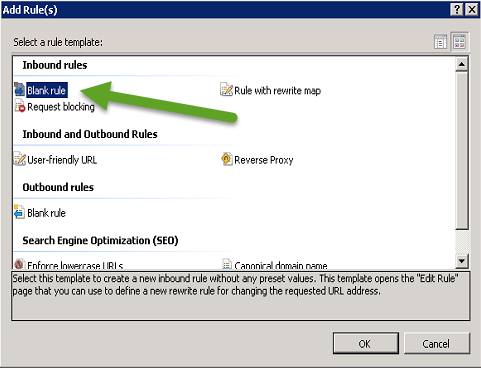 NOTE: URL Rewriting could also be leveraged for other uses cases such as globally redirecting all EPM users to a maintenance page while allowing admins to access the system via a special URL. As the same file is virtually used in every EPM product, the best way to replace this image is through URL Rewriting. 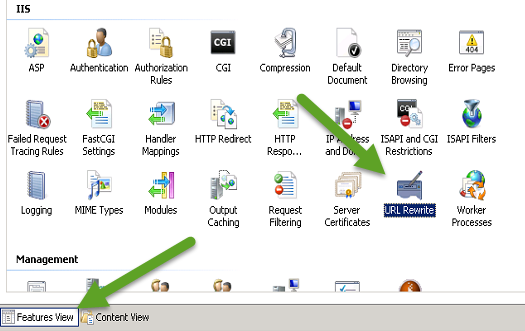 URL Rewriting instructs the web server to replace requests for a given URL with a different URL of our choosing. 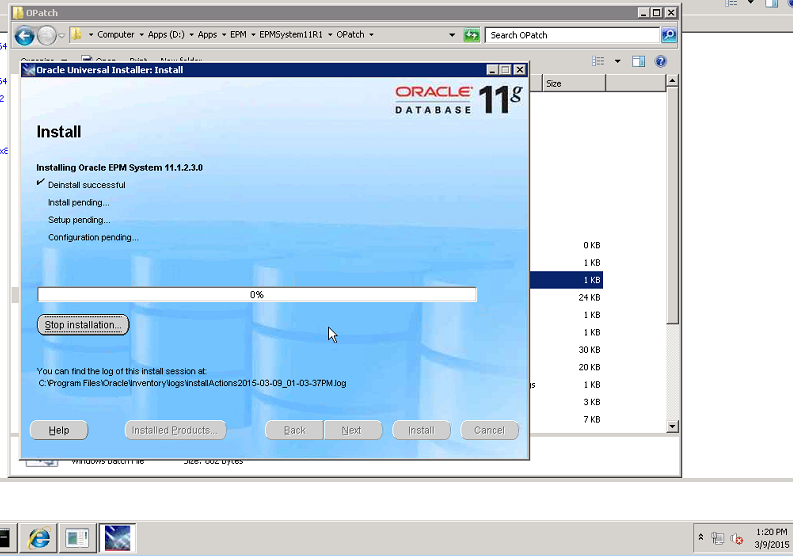 Create a replacement oracleLogo.png file. As the original file has a height of 25 pixels and a width of 119 pixels, it is imperative that your image is the same size. If you attempt to use an image with a different size, it will be scaled to fit and it may not look how you want it to.Sample images are shown below. 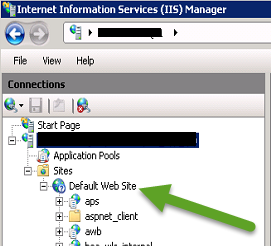 Confirm that IIS Rewrite is installed on the Web Server. 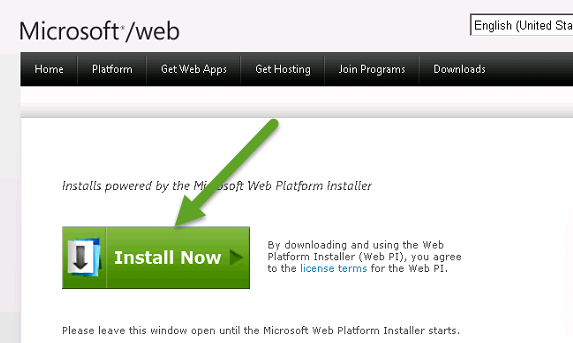 In the connections panel (on the left), expand the Server, Sites, and then Default Web Site. 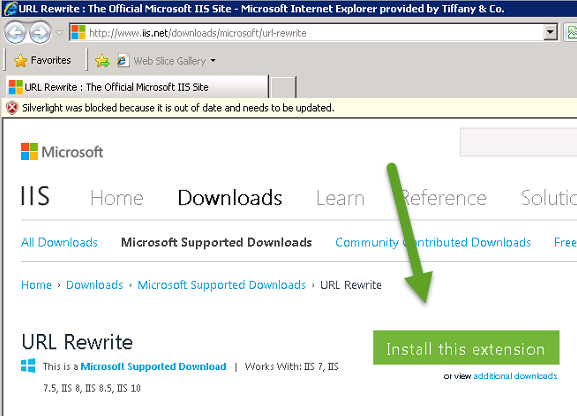 In the right window, click on Features View and then double click on the URL Rewrite button. Conditions – Skip, No changes required. Server Variables – Skip, No changes required. 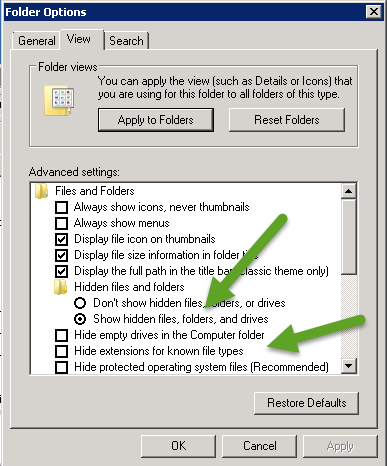 Copy your replace image to the OHS Root folder. 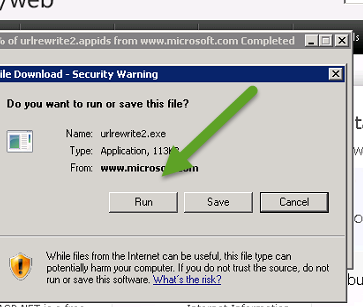 If your IIS server does not already have URL Rewrite installed, perform the following steps to acquire / install it from Microsoft. One of the most important steps during the creation of your application creation is determining how many years should exist in the application. Specifying too many years could result in having wasted space and poor application performance while too few years could result in running out of room in your application when you hit the upper limit. When it comes to removing years from the application, you can clear data from years; however, there is not a way to actually remove the years in the application. 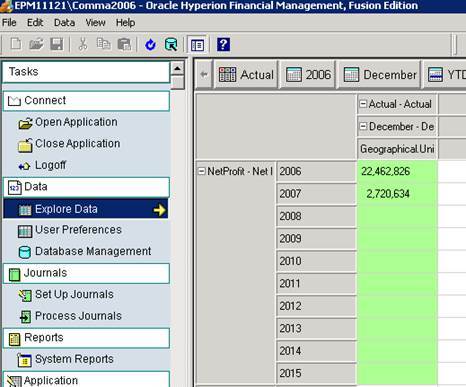 Unfortunately, Oracle has never released guidance or functionality for altering the Start Year and will tell you that it isn’t possible to change this. I’m here to tell you that, you can absolutely change this! Before we get into how to make those updates, some quick words on why you’d want to do this and some considerations around it. In the Shared App Data above, the Start Year is 2006 while the End Year is 2015. HINT: You can use Windows built-in Calculator program in Programmer mode to make these conversions. NOTE – While the screen shots are from an HFM 11.1.2.1 application, this has been tested through 11.1.2.4, though I won’t guarantee this works with every patch version, etc. Always test in a non-production environment.